Nicely done, I like the lighting, clarity and composition. I also love the silverware itself. I like the lighting. I find myself distracted by the reflections in the spoon heads though. Focus could be a little sharper. With the frame so tight, I think the objects should be symmetrical. 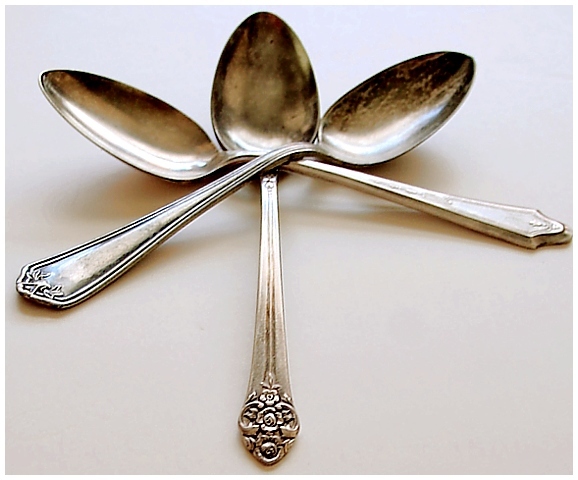 Lovely teaspoons. Proudly hosted by Sargasso Networks. Current Server Time: 04/24/2019 08:08:58 AM EDT.